Mayor Rahm Emanuel on Tuesday joined Chicago Public Schools and Success Bound, an initiative of the Lefkofsky Family Foundation to announce a new Summer Reading Initiative to keep 3rd, 4th and 5th grade students academically engaged over the summer months. The program will launch at 50 schools this year and is expected to grow in subsequent years. For the Summer Reading Initiative, 3rd, 4th and 5th grade teachers will assign contemporary, culturally relevant summer reading to incoming students, which creates early relationships between students and teachers while helping foster independent reading. 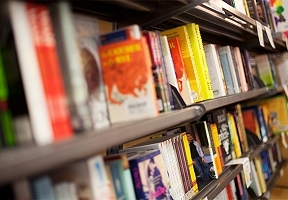 Approximately 8,500 books will be provided to students free of charge before the school year ends, and the reading assignments will dovetail with the Summer of Learning theme. The Summer Reading Initiative builds on the success of Chicago Public Library’s Rahm’s Readers Summer Learning Challenge, which last summer engaged more than 110,000 students who read more than 108 million minutes and completed more than 1.3 million learning activities. 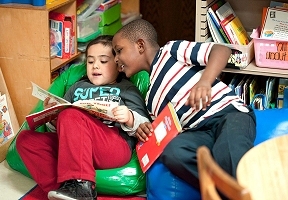 The Summer Reading Initiative will be funded by Success Bound and private donors. The Lefkofsky Family Foundation joined CPS and the University of Chicago to create Success Bound to help students take ownership of their learning and successfully transition to high school and beyond.